Dr. Erik Seedhouse is an aerospace scientist whose ambition has always been to work as an astronaut. After completing his first degree in Sports Science at Northumbria University the author joined the legendary 2nd Battalion the Parachute Regiment, the world’s most elite airborne regiment. During his time in the 'Para's' Erik spent six months in Belize, where he was trained in the art of jungle warfare and conducted several border patrols along the Belize-Guatemala border. Later, he spent several months learning the intricacies of desert warfare on the Akamas Range in Cyprus. He made more than thirty jumps from a Hercules C130 aircraft, performed more than two hundred abseils from a helicopter and fired more light anti-tank weapons than he cares to remember! Upon returning to the comparatively mundane world of academia, the author embarked upon a master's degree in Medical Science at Sheffield University. He supported his master's degree studies by winning prize money in 100km ultradistance running races. Shortly after placing third in the World 100km Championships in 1992 and setting the North American 100km record, the author turned to ultradistance triathlon, winning the World Endurance Triathlon Championships in 1995 and 1996. For good measure, he also won the inaugural World Double Ironman Championships in 1995 and the infamous Decatriathlon, the world's longest triathlon, an event requiring competitors to swim 38km, cycle 1800km, and run 422km. Non-stop! Returning to academia once again in 1996, Erik pursued his Ph.D. at the German Space Agency's Institute of Space Medicine. 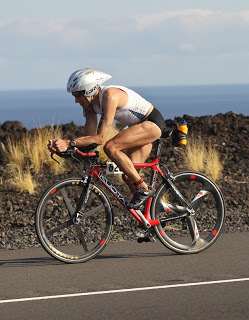 While conducting his Ph.D. studies he still found time to win Ultraman Hawaii and the European Ultraman Championships as well as completing the Race Across America bike race. Due to his success as the world's leading ultradistance triathlete Erik was featured in dozens of magazines and television interviews. In 1997, GQ Magazine nominated him as the 'Fittest Man in the World'. In 1999, Erik decided it was time to get a real job. He retired from being a professional triathlete and started his post-doctoral studies at Simon Fraser University's School of Kinesiology. While living in Vancouver, Erik gained his pilot’s license, started climbing mountains and took up sky-diving to relax in his spare time. In 2005 the author worked as an astronaut training consultant for Bigelow Aerospace in Las Vegas and wrote Tourists in Space: A Practical Guide , a training manual for spaceflight participants. He is a Fellow of the British Interplanetary Society and a member of the Aerospace Medical Association. Recently, he was one of the final thirty candidates of the Canadian Space Agency's Astronaut Recruitment Campaign. Erik currently works as manned spaceflight consultant, author and triathlon coach. He plans to travel into space with one of the private spaceflight companies via Astronauts for Hire. As well as being a triathlete, skydiver, pilot and author, Erik is an avid scuba diver and has logged more than two hundred dives in more than twenty countries. His favorite movie is the director's cut of Blade Runner, his favorite science fiction authors include A.E. Van Vogt, Allen Steele and Stanislav Lem and his favorite science fiction series is Red Dwarf. Prepare for Launch: The Astronaut Training Process is his fifth book. 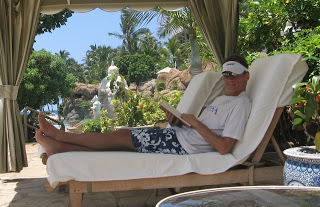 When not writing, he spends as much time as possible in Kona on the Big Island of Hawaii, Kauai, and at his real home in Sandefjord, Norway. Erik lives with his wife and three cats on the Niagara Escarpment in Canada. Be a part of A4H! A4H Alli Taylor interviewed by "Around Space"
Add a twibbon to your profile! Picture Window template. Template images by enot-poloskun. Powered by Blogger.